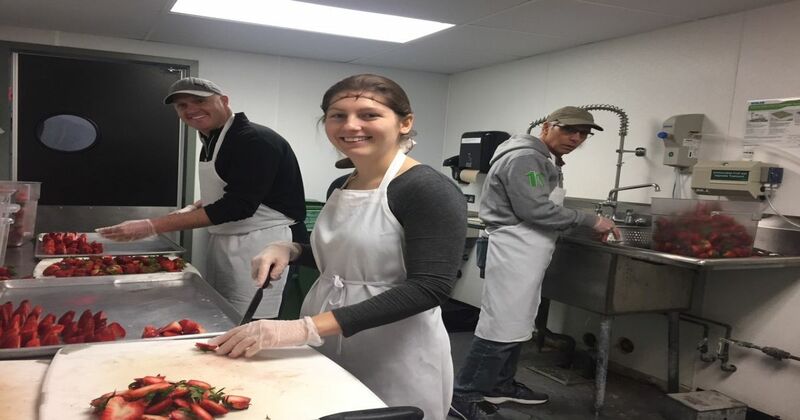 Members of our Boston office recently went on a day trip to Daily Table! We’d like to take a moment to highlight another wonderful non-profit organization we had the pleasure of working with, Daily Table. Located at 450 Washington St. Dorchester, is a not for profit grocery store providing fresh health food to the community at an affordable price. They also prepare onsite healthy meals-to-go an affordable price, which gives low-income families a healthy alternative to fast foods. We had a wonderful time getting to know the Daily Table employees and talking to customers (Especially Elena and Jasbir who had the opportunity to talk with customers while bagging. ).